Today begins the festivities over at Unarius in San Diego. 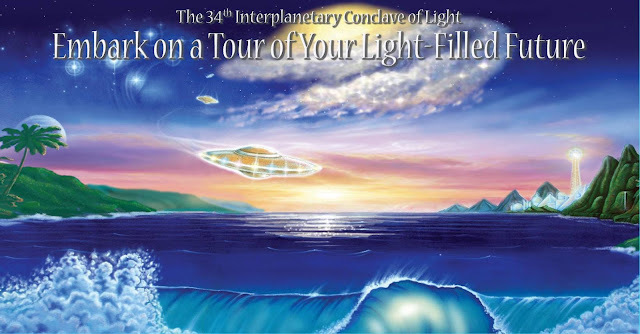 It's the 34th Interplanetary Conclave, and once again I've failed to go. I've friend friends with the folks who run the Center for a couple of years now and they are some of the most genuine people I have ever had the pleasure of meeting. Often when I make contact with spiritual groups I sometimes feel like an outsider looking in, but Unariuns are very welcoming. 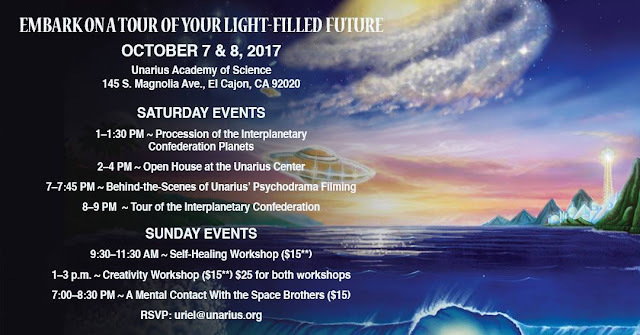 If you're interesting in listening in on the lectures and presentations, just head over to their Facebook page; I believe they will be live-streaming most of the activities.